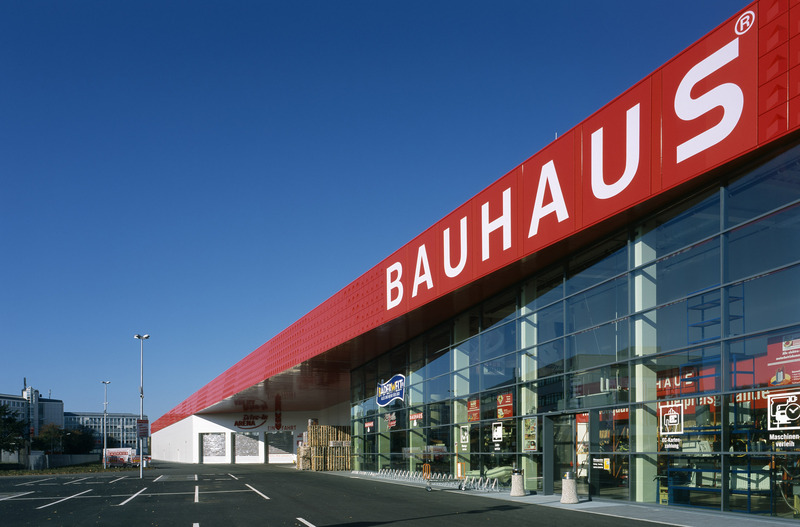 The project for the construction of the new inner-city store is the result of an invited architectural design competition. The design symbolizes a new and important start to the stretch of road on Stresemannstraße and, with its simple structure bordering the street, emphasizes the significance of the site as a gateway to Bremen’s town centre. 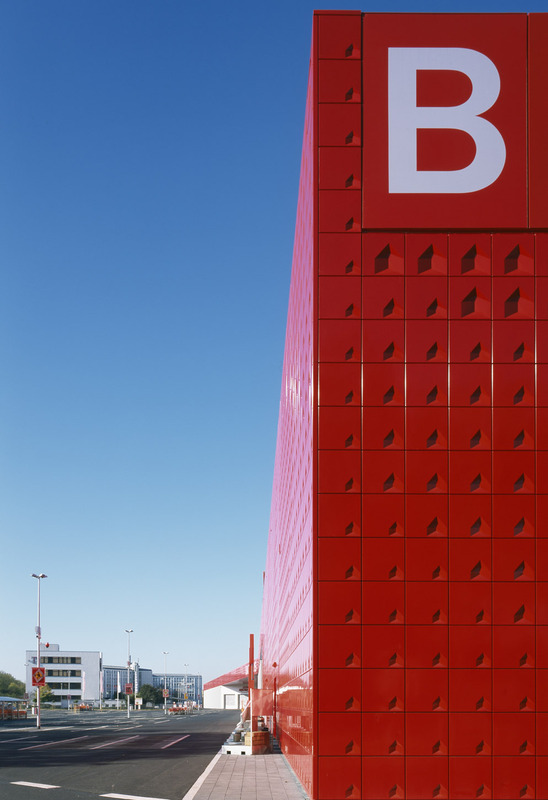 The offset between the main functional area and the ‘Drive-In-Arena’ gives the entranceway a strong prominence, creating a covered area that emphasizes the location of the main entrance and distinguishes it from the rest of the building. 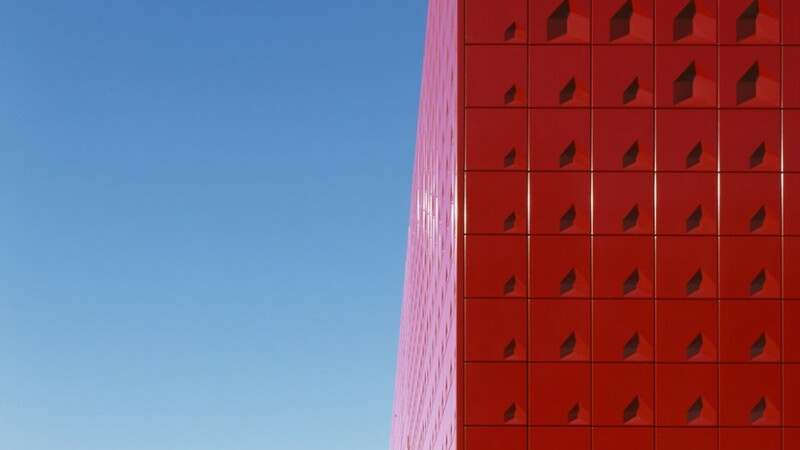 The development of the facade is based on a specific design principle that creates an effect both up close and from afar. 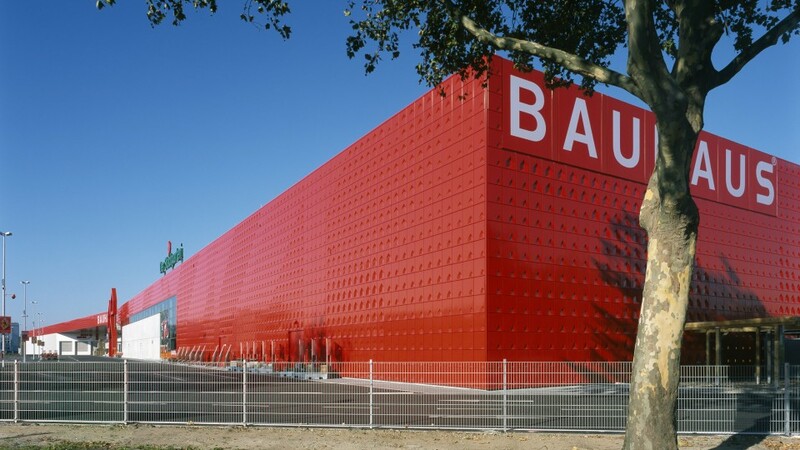 Red facade elements are imprinted with the company’s stylized logo in three different sizes. 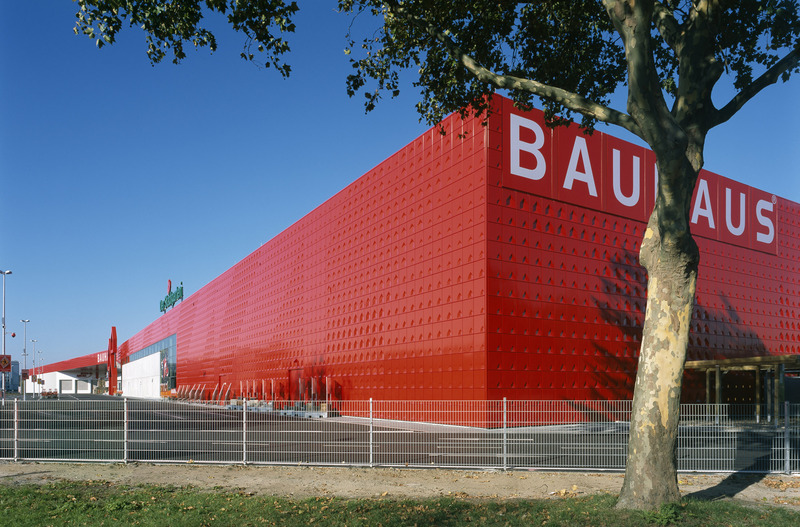 The different sizes, positions and levels of shading of the three-dimensional imprints create two different effects: the panels with imprinted logos, individually recognizable when close up, combine to form a large Bauhaus logo when observed from a distance. 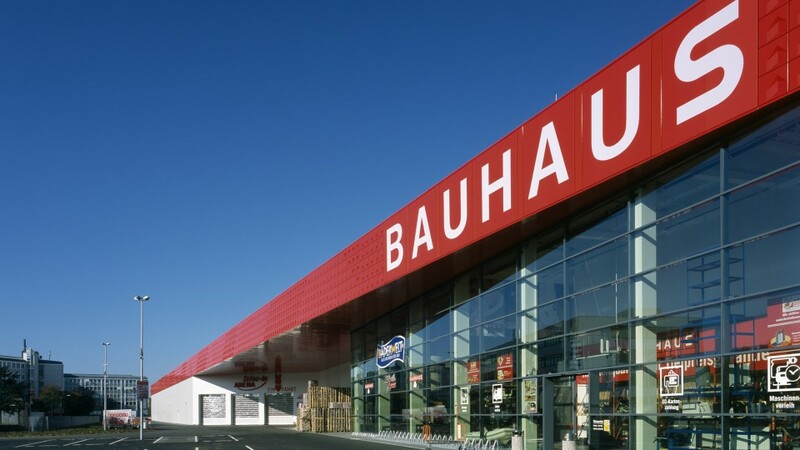 These embossed elements could be used for other Bauhaus stores to enhance corporate identity. The steel case construction allows a modular and rapid construction.